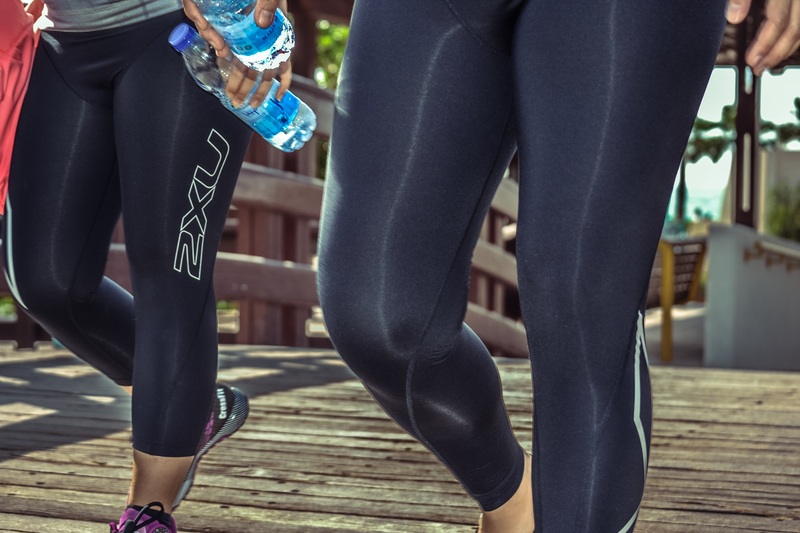 March 2016: Combining the best of its world-leading compression technology, 2XU have launched a new Active Maternity range designed to provide support, flexibility and protection to help women remain active, strong and comfortable during and post pregnancy. Specially designed to provide extra support to areas subject to strain – including the lower back and pelvic floor muscles – the range of shorts, full length and three quarter compression tights also promote blood circulation which can help to reduce swelling during pregnancy. Helping to boost energy and reduce discomfort overall, the range will help women stay active to best prepare their body for labour, birth and recovery. market for reliable, comfortable and effective compression garments for pregnant and postnatal women looking for some support to help alleviate the varied musculoskeletal issues that occur during this period. “While there are other maternity braces, hosiery and tights on the market, we wanted to combine practicality with comfort and style,” Claire said. Specially designed for the changing needs of the body, 2XU have launched both a pre-natal and post-natal range. Designed for focused support and all day comfort, 2XU’s pre-natal tights feature a tummy panel made from highly breathable and seam free material which grows with you during pregnancy. The powerful PWX graduated compression fabric targets the lower back to support the upper body, while enhancing posture and breathing. The leg compression helps to reduce swelling in the ankles and feet, and the tights also support the pelvic floor with a double-layer 70D compression fabric. With a high, wide waistband and single front panel to improve comfort and help support caesarian scars, a double layer of PWX fabric also supports and promotes recovery of the abdominal wall. PWX and Powermesh fabrics target the lower back to in turn support the upper body, the pelvic floor is again supported, and the graduated leg compression enhances circulation to reduce swelling in ankles and feet. Prices: 2XU pre- and post-natal active maternity wear starts from AED575 and is available from GO Sport and Beyond Fitness at City Centre Me’aisem mall. The range includes shorts as well as ¾ and full length tights.